Meet Tracey and her adorable "mini me." 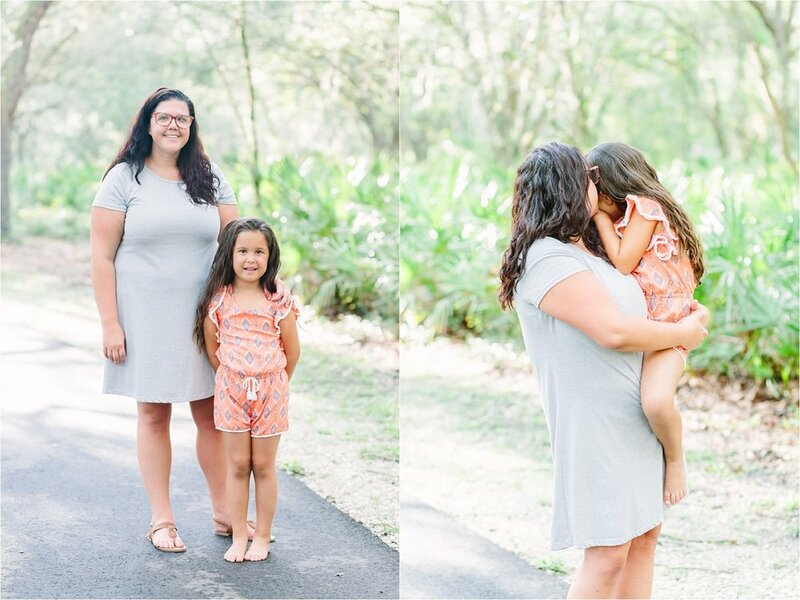 :) We got to meet up for a Mommy & Me session at Lettuce Lake Park in Tampa, Florida a few weeks ago and I'm so glad we did! These two were such a joy to be around; I felt like they were old friends. We had a great time roaming through the paths, petting dogs (YAY to people who let me pet their dogs!! ), swatting all the mosquitos (oh, Florida... #swampland), and soaking up the evening's golden sunlight. She just wasn't having it at times, and it was so cute. I miss being a kid LOL! There will never be a day that I don't swoon over oak trees, moss, and sunshine. Tracey recently graduated her program & wanted a few photos in her cap and gown. I love when people recognize the big moments in their life as things needing to be photographed. That's part of the reason I love photography so much! Years from now her daughter & family will be able to look back at these photos to reminisce about a special period of time, and it's just so amazing to be a part of it. She wanted to wear the attire too! I have always loved photographing families and I think Mommy & Me sessions might be one of my new favorites! 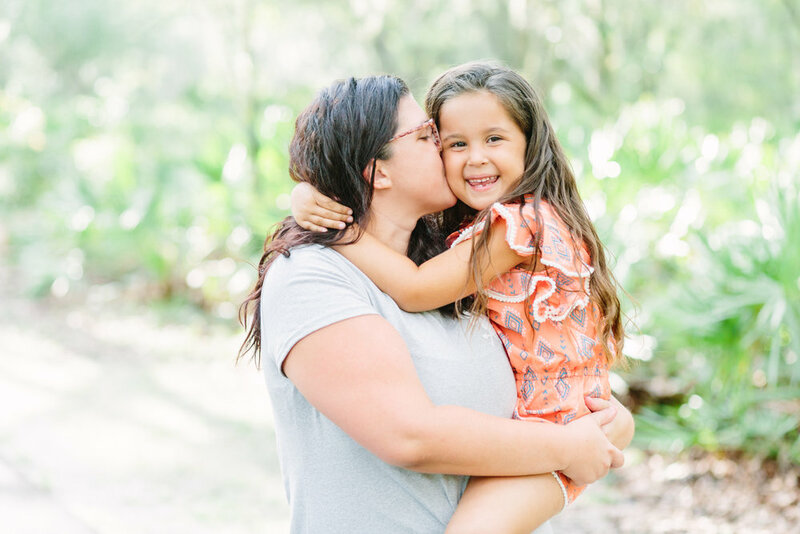 It's an awesome bonding opportunity for a mother + daughter and will create photos to be cherished for a lifetime.